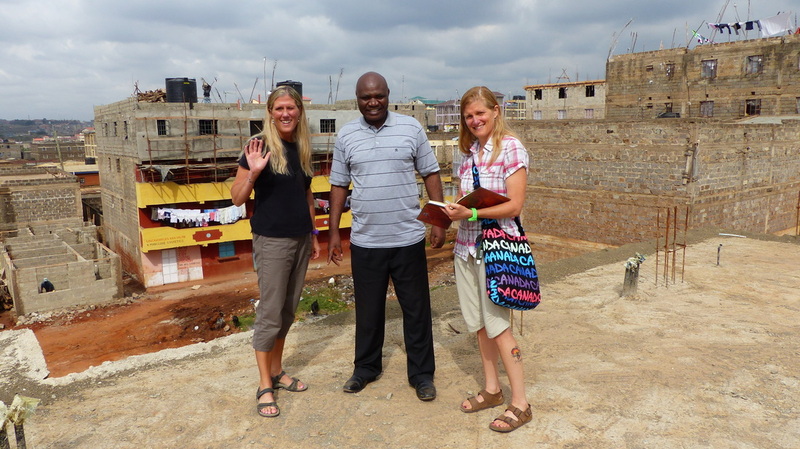 While visiting Nairobi in July of 2010, the team was taken to visit a ‘Sister Parish’ in another area of Nairobi. Once there, we were given a tour of a school that the locals are working hard to build for the young people in the area. 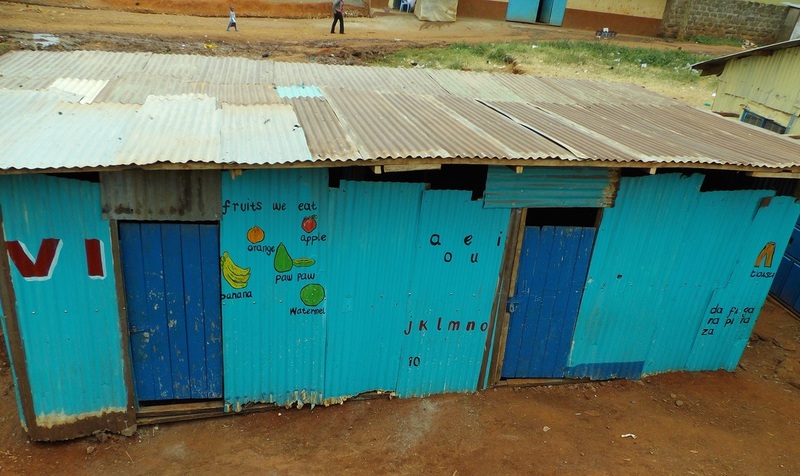 Living Kids Education Centre is a small private school started and presently funded by the pastor and congregation of Living word Church, Githurai, Kasarani District in Nairobi, Kenya. The centre started as a Kindergarten in January 2004 with one child, one teacher and one administrator. That year, the school enrolled more children and by the end of the year, there were fifteen of them. The centre operated the kindergarten from 2004 to 2008 with a total number of sixty children. From 2009, the centre expanded to the primary level with level one having eight children. 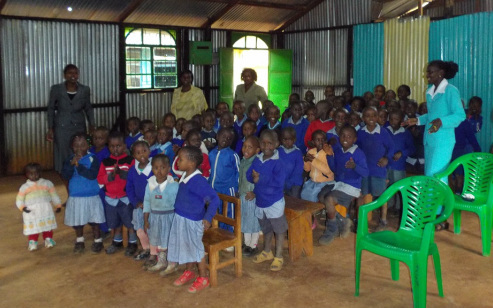 At the beginning of 2010, the school expanded to level two with nine children and they saw the total admission raised to 102, 4 teachers and 2 administration. This created the need to looking at building a proper school with proper classrooms. It also meant having to look for more funding, as the school has grown beyond the means of the congregation of the Living Word Church. 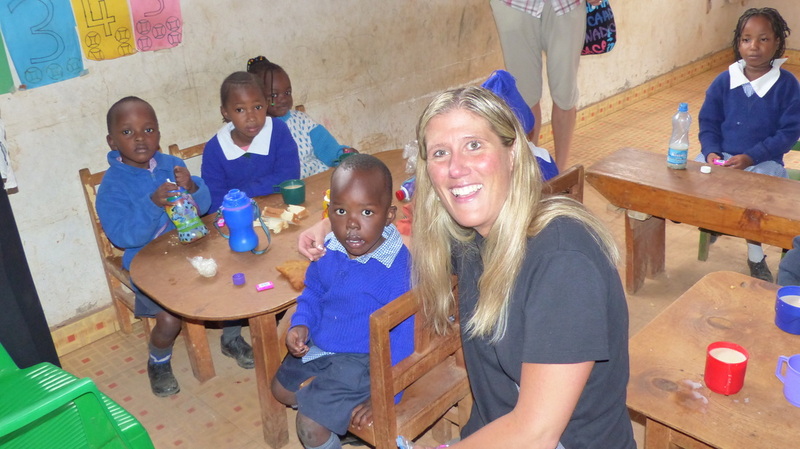 The target population for the school are children from poor families, orphans and street children. The students presently at the school come from homes where one or more of the parents are drunkards, the women are often prostitutes, the children are neglected, and they are exposed to very abusive behaviours. The parents do not necessarily have permanent jobs or an established source of income. Many families have at least one member being HIV positive. · Spiritual education to the children to ensure a stable community. 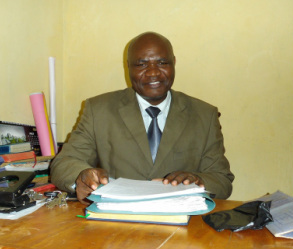 The overseer of this school project is Simon Gichuru, the pastor of the project, and accountant. Monitoring and reporting to Kids for Kids continues to be through Johnstone Ndunde, society liaison in Nairobi for all our projects. Rachael, Simon & Carolyn on top of the new building! In 2010 when we first visited, this was the original school building attached to the back of the church. After the first grant was secured in the fall of 2011, this was what was accomplished by July of 2012. July 2013!!! A second floor roughed in, and classes moved into the bottom floor!! July 2014!! They have put the finishing touches on the second floor block of the 5 classrooms. Metal railings and window frames have also been installed. The classrooms are ready to be used once furniture is moved in. 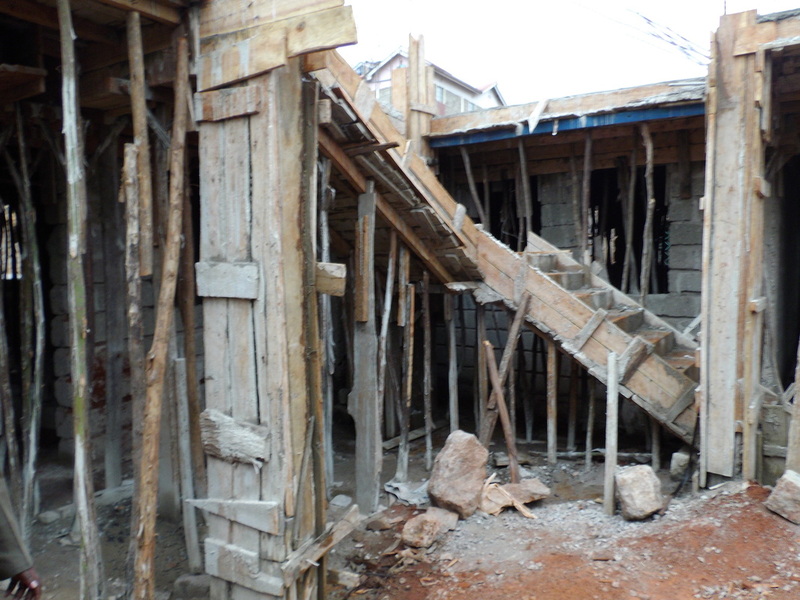 As well, the third floor is built, and roughed in. The slab has been laid for the fourth and final floor.